Anyway you look at Presidio, it will go well beyond expectations. Situated at the crossroads of Sucat and Taguig in Brittany Bay, Presidio is a cozy distance from the frenzy of Metro Manila. 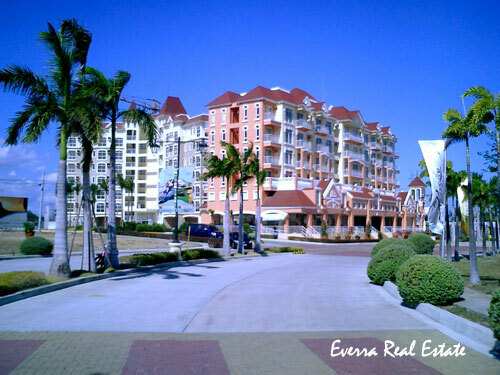 Sixteen (16) condominium towers of varying heights are rising at the 6.8 hectares of prime land abutting scenic Laguna de Bay. Envisioned complete and self-contained, Presidio at Brittany Bay will be a city unto itself, with the ideal complement of residential garden and commercial establishments all within the complex. Yet, the awareness of it all will never overwhelm the reason why it is being built: the need for families to grow and bond in a conducive setting. A 16.88 –acre (6.8 ha.) 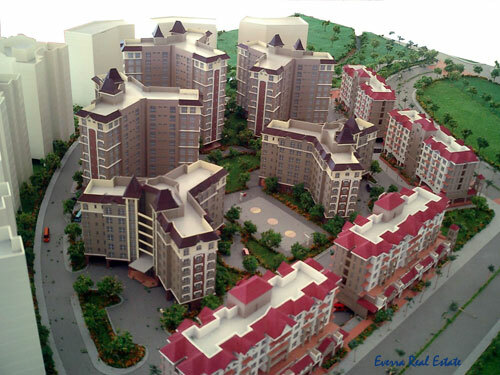 multi-phase project that boasts of rapid progress, delivering units has begun in 2006. Launched only last May 2004, it is already selling its third (Michelangelo), fourth (Rembrandt), fifth (Monet) and sixth tower (Bellini). First tower (Da Vinci) was sold out in just 2 months. Located at the boundary of bustling Sucat and thriving City of Taguig, Presidio's convenient location is only 5 minutes away from Alabang, 15 minutes from NAIA, 20 minutes from Makati and Global City, and a mere 30 minute drive from Ortigas; via South Super Highway and C5. Upon completion of the C-6 construction, travel time will be cut by half; while rehabilitation and modernization of the South Metro Rail Transit System will reduce the drive from Caloocan to Alabang to 30 minutes. With the concept of continually "building greater values into your new home" with thoughtful and effective master-planning guided by the 5 core values they persistently adhere to: greenery, security, choices, serenity and attainability -- that is PRESIDIO at Brittany Bay. Actual picture of Presidio at Brittany Bay taken from project entrance this March 24, 2007. Ready for occupancy units are Da Vinci (right, orange building) which is sold out, and Picasso, building on the left, where there are units for sale. From each of Presidio's 16 towers to the community's ingenious layout, noted architectural partnership of Recio+Casas add details which evoke San Francisco's distinct Neo-Victorian inspiration. The design influences of each tower are distinguished with the use of the famous bay windows, along with towers, balconies and space maximized with thoughtful planning. The use of stunning gable turrets, shingled roofs, towers, balconies, and intricate latticework completes the reinterpretation of San Francisco's charming design style. 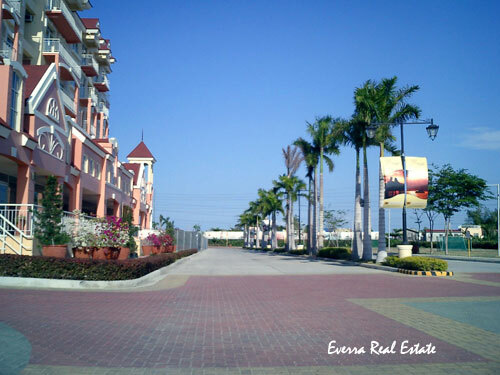 What sets Presidio apart from other properties is its proximity to Laguna de Bay which is just 20 meters from the first cluster of shops and condos. At sunrise the lake is a golden-flaked body of water. In the afternoon and evening cool breezes waft from the lake area. 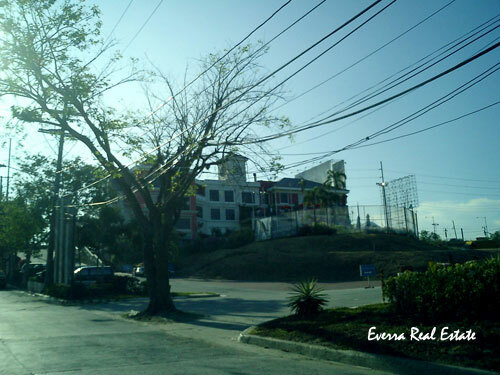 Laguna de Bay's natural beauty will be echoed in in Presidio's many garden area and open spaces. There will be spaces where children can play and adults can enjoy a promenade. A symphony of 16 towers interplaying in height and size, Presidio is a master-planned vertical community of low- and mid-rise condominiums. Motivated by the urbanite's increasing demand for a home reflecting the continuous progress of their already successful career and busy lifestyle, Presidio was created as a self contained multi-level hub by the bay with the varying elements. Distinguishing Presidio from other space-deprived condominiums is the incorporation of nature with the comfort of vertical living. 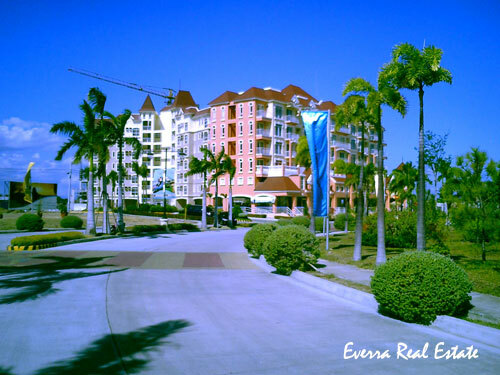 Tucked away from the vexations of the metropolis, residents of Presidio need only walk a short distance to get a view of the sun shining and setting in the horizon while enjoying constant cool breeze from Laguna de Bay. At Presidio, the backdrop is the Sierra Madre Mountains - a rare sight for other metro dwellers but a daily splendor for Presidio residents. Unspoiled nature is married with lush landscaping and courtyards surrounding the community, and with quaint gardens in select units. Presidio features a Village Center to house leisure and athletic amenities and facilities: a multi-purpose hall, functions rooms, social halls, and game room for the urbanite's penchant for affordable luxuries; multi-sports center and gym for their conscious effort at being fit; and a swimming pool, landscaped parks and playgrounds for their children's boundless energy for play. Market! Market! (BGC) – 10 kms. 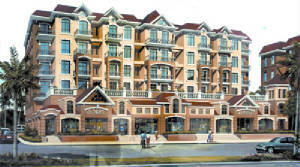 Da Vinci is the first tower launched at Presidio, a 6-storey building (including basement parking) belonging to the mixed-use condo development. It features commercial establishments on the first floor. 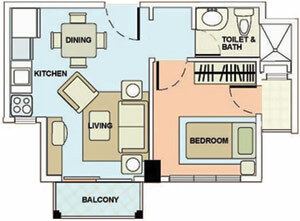 Units come in 452 sqft 1-Bedroom units and 592 sqft 2-Bedroom units. There are only nine (9) units per floor for maximum lighting, ventilation and privacy. All units are delivered finished, and come with balconies and drying cages on the roof deck. All units have been sold out in less than a month after it was launched. 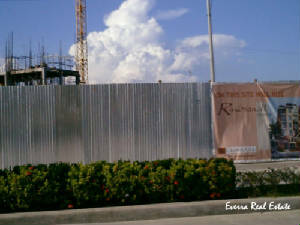 PICASSO is the first offering of garden condo residences. 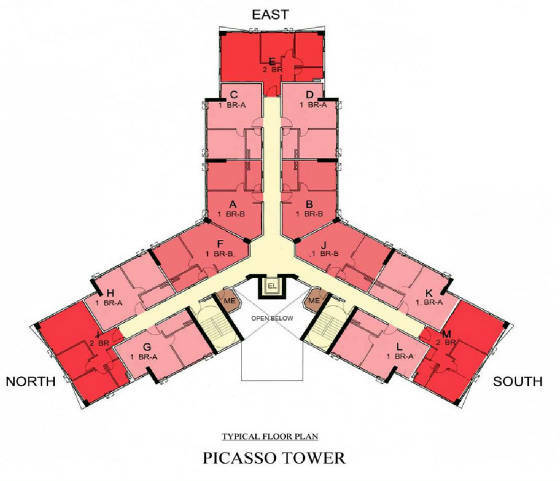 It is uniquely shaped in Y-form, thus containing three (3) wings on each of its seven(7) floors. It is entirely residential, with limited ground floor parking. This building houses one of the amenities for the entire property, thus distinctly giving residents easy access for its use. 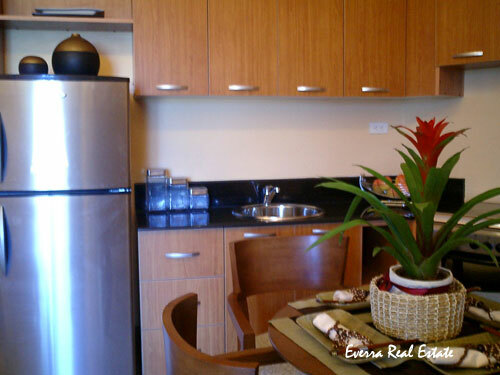 Units come in 39 sqm, 1-Bedroom units and 52 sqm 2-Bedroom units. There are only thirteen (13) units per floor, with maximum number of five units per wing, thereby providing more than sufficient lighting, ventilation, and privacy. All units are delivered finished, and come with drying cages on the roof deck. To convert currency, please refer to “Currency Converter” at the bottom of this page. Easy payment terms—pay only 20% Downpayment payable in 3 monthly installments. Amortize 80% up to 15 years through bank financing. Big discounts on Spot Cash and outright DP payments. 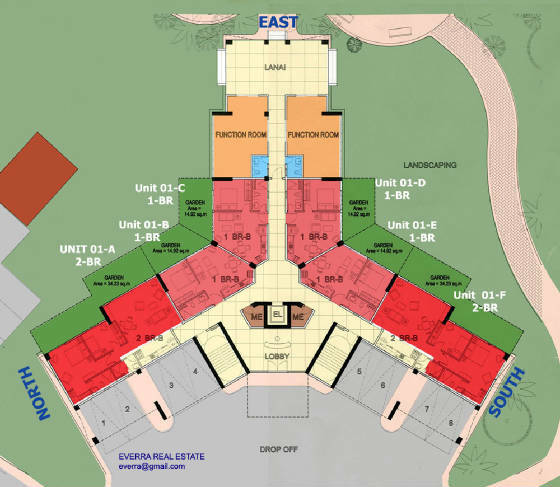 74.59 sq.m or 802.59 sq.ft. 36 sq.m or 387.36 sq.ft. 13 sq.m. or 139.88 sq.ft. Inspired by the 17th century master of Baroque painting, the Rembrandt Tower is unique for its fully furnished kitchen, a feature most start-up families will surely value. What's more, this low-rise residential condominium even accommodates commercial spaces on the ground floor, making it a masterpiece in space utilization. Model units come in 42 sq.m. 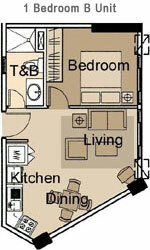 and 52 sq.m., roomy enough for families starting a new life. With this extra feature, the Rembrandt Tower is definitely a place that gives young families more value for their investment. 86.02 sq.m to 97.04 sq.m. or 925.58 sq.ft. to 1,044.15 sq.ft. Michelangelo is the third offering of Presidio, the latest addition to the Garden Condo Residences. It features new unit types that expand both the market coverage and product offerings. The 10-storey residential tower presents three unit types, the largest selection offered as of yet: a) the standard units b) the bi-level garden units; and c) the penthouse units. 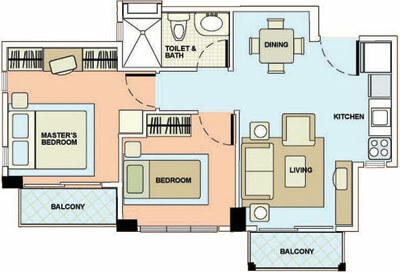 Standard units are available in studio and 1-bedroom cuts, ranging from 270 sq.ft. 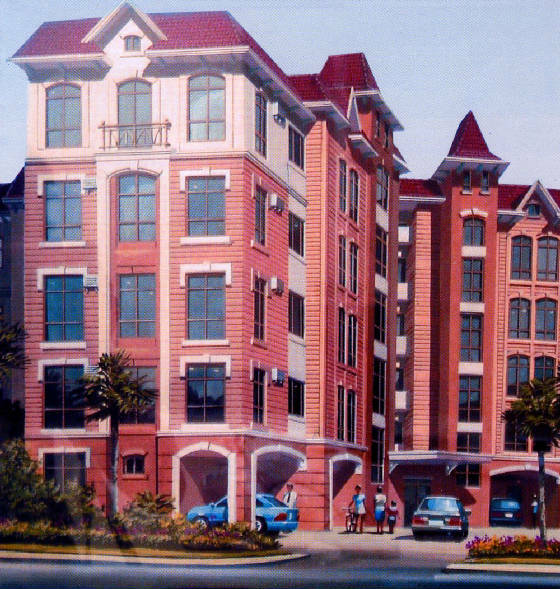 - 399 sq.ft.., conceptualized ideally for individuals taking their first steps of independence. 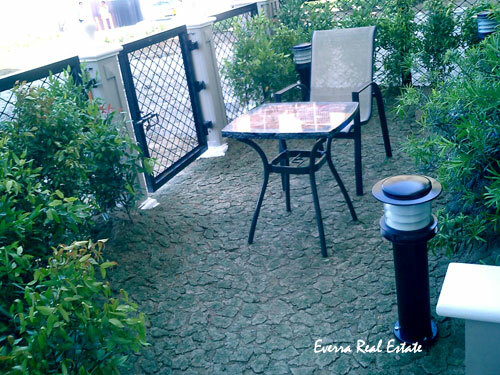 The Bi-level Garden units meanwhile, are designed to suit the demand for breathing space and fulfill the longing for renewed household appeal. These units, aside from the elegant architecture of dual floor design, are exclusively provided with garden spaces that overlook the courtyards of Presidio. 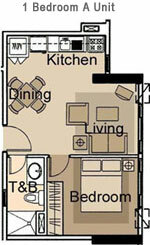 Available units are in 1-bedroom and 2-bedroom cuts with provisions for another bedroom at the ground floor. Lastly, the Penthouse units delineate themselves from the rest through bigger space proportions compared to the standard units. 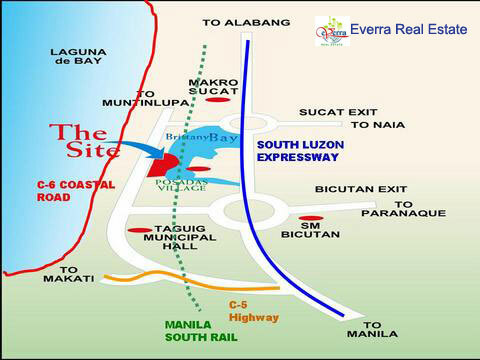 However, its most attractive feature is the height of their location, which provides the best view of Laguna de Bay. All of these are complemented with the attractions of all Garden Condo Residences: proximity to the amenities, maximum lighting and ventilation, and utility conveniences derived from drying cages on the roof deck and the presence of two passenger elevators. 58.93 to 61.63 sq.m. or 634.09 sq.ft. to 663.14 sq.ft. 51.51 sq.m. to 52.31 or 554.25 sq.ft. to 562.86 sq.ft. 12.50 sq.m. 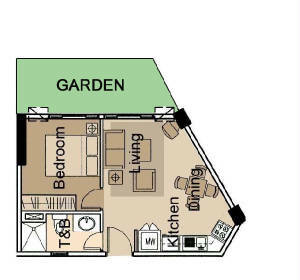 or 134.50 sq.ft. Monet Tower is the third structure using the distinct Y-shaped architecture that provides generous breathing space for a truly relaxing environment. 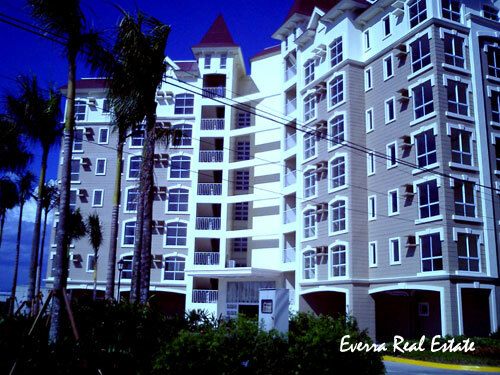 This tower also offers residents great access for the property's amenities. Units come in 36 sq.m. 1-bedroom units and 50 sq.m. 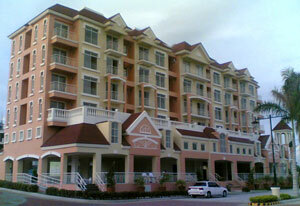 2-bedroom units. There are only thirteen (13) units per floor, with maximum number of five (5) units per wing, thus providing more than sufficient lighting, ventilation, and privacy for its residents. Garden and Special Combined Units are also available. The GROSS CONTRACT PRICE is INCLUSIVE of 12% VAT & Miscellaneous Charges. Reservation Fee (RF) is non-refundable and non-refundable. The Developer reserves the right to correct and/or change any error that may appear on this pricelist. Please fill-up ALL FIELDS in form below so we can send you Payment Terms and Payment Schedule on your selected unit. Be sure to enter CORRECT E-mail address so we can reply. We will reply to serious inquiries with complete and correct information.